Grew up with Mantoulidis (Greece) juniors. Signed for the 2008-09 season by Olympiacos Piraeus. Signed for the 2011-12 season by Olympiacos Piraeus. Won the 2012 and 2013 EuroLeague with Olympiacos Piraeus. Won the 2011-12 and 2014-15 Greek National Championship with Olympiacos Piraeus. Played the 2017 Turkish All Star Game. 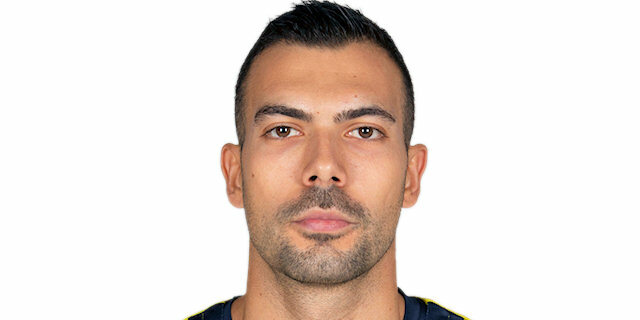 Member has been member of the Greek U-16, U-18, U-19 and U-20 National Team. Won the gold medal at the 2008 European U-18 Championship. Won the gold medal at the 2009 European U-20 Championship. Won the silver medal at the 2007 European U-18 Championship. Won the silver medal at the 2009 World U-19 Championship. Won the silver medal at the 2010 European U-20 Championship.